Today, the Bitcoin community entered into the halls of the US Senate once again, this time for a US Senate Committee on Banking, Housing and Urban Affairs Subcommittee on National Security and International Trade and Finance. In his opening statement Senator Mark Warner began the hearing and discussed his first encounter with wireless telephones in the early 1980s. He specifically stressed the need for open minds to hear about the potential and also the important ramifications around monetary policy and taxation related to Bitcoins and other cryptocurrencies. He stated that Bitcoin can radically transform central banks, monetary policy and also pose threats. Senator Warner expressed that Bitcoin is a currency that already has been monetized and is becoming more mainstream. Senator Dean Heller expressed that the US Senate should help maintain an environment that fosters growth and brings about understanding. Senator Merkley stated that Bitcoin and other virtual currencies take money and that “virtual currencies are completely a different animal.” Senator Merkley emphasized that Bitcoin is absolutely fascinating and stated that Bitcoin is a functional and viable technology at this moment. Senator Kirk highlighted his concern that Bitcoin could lead to illegal and terrorist activities. The First Panel began with Jennifer Shasky Calvery (Director, Financial Crimes Enforcement Network) and concluded with David Cotney (Commissioner of Banks, Massachusetts Division of Banks). Jennifer Shasky Calvery of FinCen highlighted that virtual currencies must be put in perspective in that virtual currencies have yet to take over traditional financial institutions. She stressed the need for each financial institution to operate within legal bounds and integrity. She stated that those institutions that chose to act outside of the law will be held accountable and used the example of Liberty Reserve. FinCen is the regulator for anti-money laundering and anti-terrorism, so they are unable to determine as to whether or not Bitcoin is an actual currency. FinCen first took note of virtual currencies back with E-Gold and placed virtual currencies under the guise of the AML framework. Shasky Calvery also addressed the question of Bitcoin’s volatility. David Cotney (Commissioner of Banks, Massachusetts Division of Banks) proceeded to testify on behalf of the conference of state banks and expressed the benefits of virtual currencies of speed, efficiency and lower transaction costs and also providing an outlet for the unbanked. State regulators are currently looking for an open dialogue. He stated the need for licensing for businesses and that enforcement is also a key part of state supervision. He stressed that cooperation is a hallmark of state supervision. Cotney specifically mentioned the SAFE Act and expressed that states are currently working to ensure that there is an appropriate level of regulations. Cotney mentioned that there is a big demand for more real time payments at lower transaction costs and how many in Europe and Canada are seeking out faster transaction times and expediency. Cotney is concerned most about consumer protection and fears irrevocability of transactions. Senator Mark Warner discussed the need to strike the right balance so we do not chase exchanges offshore and leave Americans unprotected. He asked the first two panelists if Bitcoin is a currency or simply an internet protocol. Senator Kirk specifically asked whether or not a specific terrorist group has used Bitcoin. Senator Merkley proceeded to ask about the centralized public ledger and wanted to know if the encryption of the code can be broken. He touched upon the hacking of BitFloor and of Insta-Wallet and proceeded to ask Shasky Calvery how hacks take place. 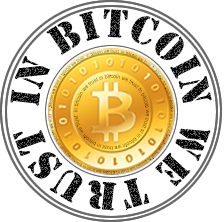 Shasky Calvery explained that Bitcoin is the strongest form of cryptography to date. She highlighted the irrevocability of transactions. The Senators were trying to grapple with the fact that Bitcoin is complex in that it is not as traceable. Senator Heitkamp (D-ND) touched upon the practicality of Bitcoin and how it is emerging and may replace credit cards and other methods of payment. She stressed the difficulties in categorizing Bitcoin and the question of how to deal with Bitcoin when it becomes more of a common method of transaction. The more commonly accepted it is and the more available Bitcoin becomes, there will be a need for either fitting Bitcoin into a category or creating a new category. Shaskey Calvery highlighted how Bitcoin is going to be a nice experiment that completely fails or it will really take off. Senator Heitkamp mentioned the interesting challenge to come with Bitcoin related to capital gains taxes and financial reporting down the road. Senator Jerry Moran posted on Bitcoin Reddit requesting questions from his constituents and the Bitcoin community. His main question was related to the dangers of excess regulations and how there additionally may be inconsistencies between federal and state standards. Shasky Calvery expressed that there will be regulations abroad as well and that if US related Bitcoin businesses leave to escape regulations, they will still find regulations abroad. The witnesses on the second panel included Tony Gallippi (Co-founder and CEO, BitPay, Incorporated), Sarah Jane Hughes (University Scholar and Fellow in Commercial Law, Indiana University Maurer School of Law), Mr. Paul Smocer (BITS President, Financial Services Roundtable), and Ms. Mercedes Kelley Tunstall Partner and Practice Leader, Privacy and Data Security Group, Ballard Spahr LLP. Mr. Paul Smocer opened up the panel by stating that attempts to develop digital currencies have existed for decades and stressed the need to recognize that digital currency usage exists outside of traditional frameworks. He stated that one measure of a currency’s success is the usability and how widespread it is. He acknowledged that digital currencies can provide access to the underbanked and also highlighted the example of M-Pesa in Kenya and also how digital currencies help individuals in oppressive regimes. He stated that digital currencies can pose significant marketing risks. He defined Bitcoin as a currency, depository system and a payment system. Sarah Jane Hughes of Indiana University began her testimony by sharing of her father’s early experience in cryptography. She stated that it is incredibly important to enforce AML, anti-terrorism and also current sanctions. She expressed that regulations need to be clarified so that “banks don’t get cold feet.” She also encouraged payment providers related to Bitcoin and virtual currencies to share user protection statements. She stressed the need for rigorous guidelines to prevent illicit use of Bitcoins. Ms. Mercedes Kelley Tunstall of the Privacy and Data Security Group came down harder than expected on Bitcoin. 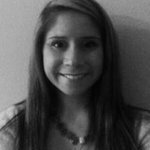 She currently works with a number of clients on financial innovation issues. She stated that the United States has a long history around currencies but also highlighted some of the supposed shortcomings of Bitcoin related to anonymity, criminal use of Bitcoin and gaps in reliability. She specifically stated that Bitcoin is being used by criminals and terrorists and in order to get through this, the anonymity “needs to go.” She expressed the need for a definition of what a virtual currency is and asked for stronger FinCen guidance and concluded that nothing will stop a US Bank or financial institution from getting into virtual currencies themselves. 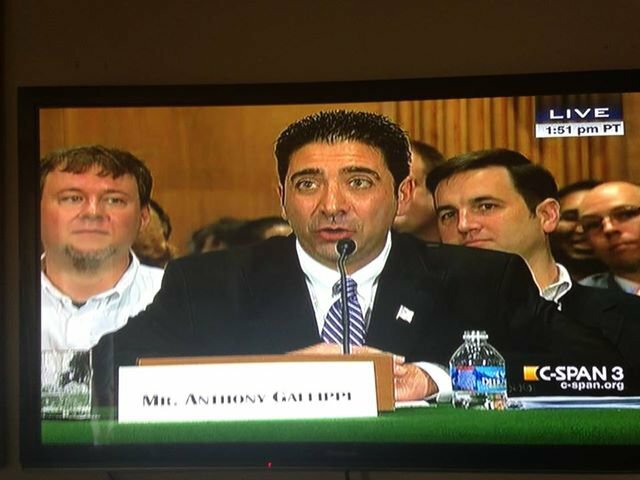 Tony Gallippi Co-founder and CEO, BitPay concluded the panel strongly. He specifically stressed the role Bitcoin can play in creating jobs in the United States and around the world. Tony mentioned BitPay’s over 12,000 merchants and also how BitPay strictly follows AML and KYC guidelines. He expressed that Bitcoin has invented something pretty amazing in transferring an asset immediately with no risk. He also emphasized that the credit card was not made for the internet. He stated that in order to assist the housing market, Bitcoin can be used when settling mortgages. He encouraged Congress to take a wait and see approach as Congress did with the internet. Tony highlighted that Bitcoin is a technology with tremendous cost-savings for businesses and consumers. When asked for further clarification, he stated that BitPay’s transaction fee started as 1% compared to the 3-4% transaction fees of credit cards. Senator Merkley highlighted low transaction fees and how the concept of low transaction fees can change how we deal with credit card companies and banks. Senator Mark Warner compared telecom and asked whether virtual currencies can grow faster in third world countries. He expressed the need to get the balance right. He also asked if a stronger digital currency will emerge. Ms. Mercedes Kelley Tunstall responded that unless Silk Road incidents no longer persist, Bitcoin will not become mainstream. Senator Heitkamp expressed that the more we legitimize Bitcoin in regulation, the more we commercialize Bitcoin and legitimize Bitcoin as a true opportunity. Sarah Jane Hughes recognizes that this is a risk worth taking. Sarah Jane Hughes stated that right now, all risks fall on users. Senator Heitkamp recognized that it might make sense to just leave Bitcoin alone and see what happens. Senator Schumer (D-NY) expressed his different approach than Senator Heitkamp. Senator Schumer did state that he does not want to shut down or stamp out Bitcoin. He expressed that the rise of alternative currencies could have profound and exciting implications that Bitcoin has in NYC but also how this promise can be compromised by illicit activities. He asked Tony Gallippi as how we can separate illicit from licit Bitcoin related activity. Tony explained the different parts of Bitcoin: low level protocol and application. He explained that BitPay has a strict Know Your Customer policy and that those operating illicitly can get caught by law enforcement. Senator Schumer requested that Tony and the other panelists send specific suggestions as to how to weed out the illicit activity from the licit uses of Bitcoin. Now will the US House of Representatives follow suit and summon representatives from the Bitcoin community for a hearing on the House side?